Kimberley enjoys raiding my wardrobe and, sometimes, so do I. There are days when I look inside it and despair, but on a good day it can be a treasure trove. It's always a treat when I stumble across a new ensemble that I haven't tried before. This outfit, that I wore for a visit to Tea Green's Concept Atelier, is the result of one such occurrence. It's simple but fun. It has cats for one thing. And it's summery. Yay for sunshine! When it's winter, most of my outfits revolve around black tights. But, when the sun comes out, black tights can be a little stifling. Being able to dress for warm weather means digging out items that I haven't worn for quite some time. This skirt is one of those. Kimberley kindly lent/ gave it to me and it's been a firm summer favourite ever since. It's a great basic that works well with my more patterned pieces. 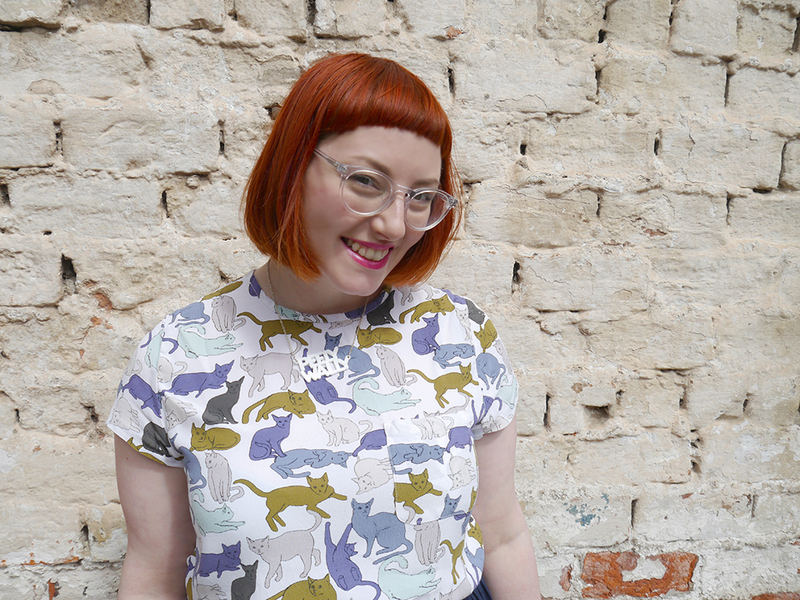 Like this kitty top, for example. I'm slowly but surely adding to my cat themed clothing collection. 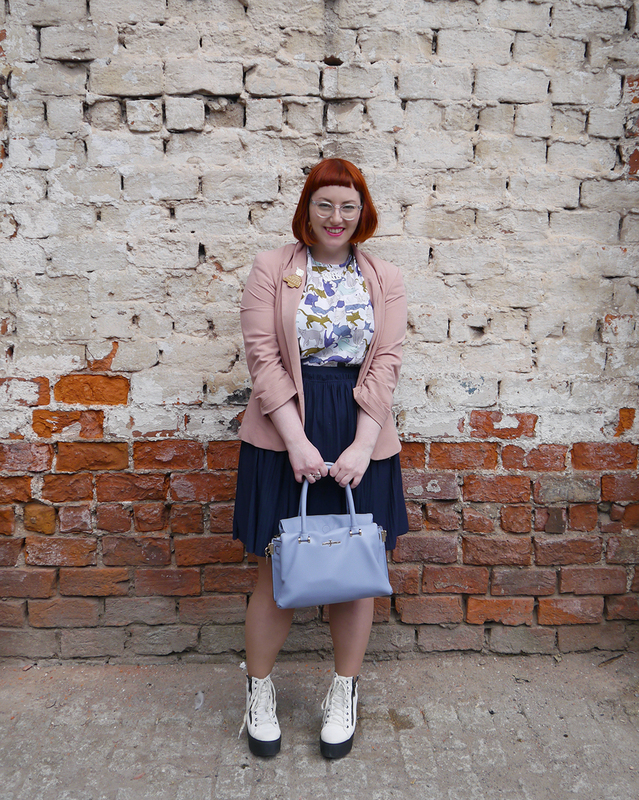 I've had this top for some time but it hasn't made an appearance on the blog yet. Crazy, considering how much I love wearing cat items! It does make this a full on H&M outfit though. 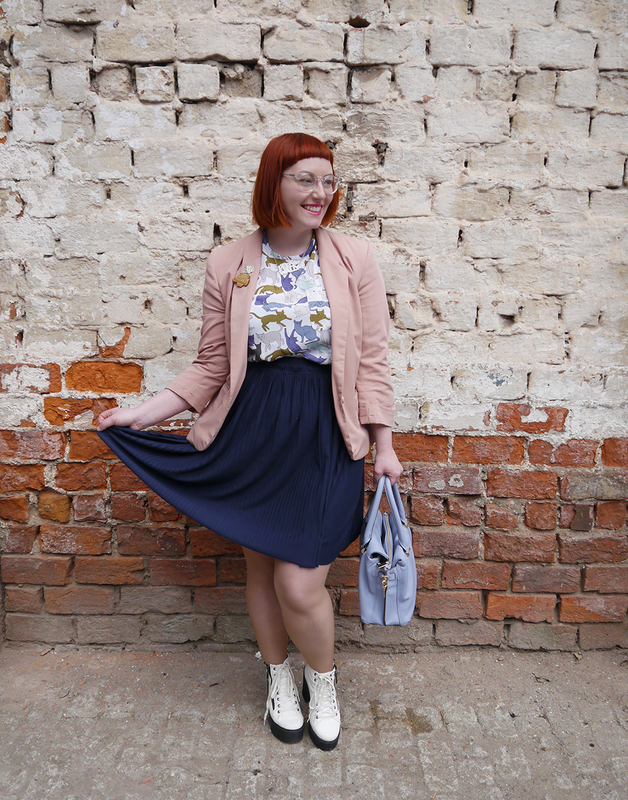 I've been trying my best not to opt for fast fashion and that includes my high street favourite, as tempting as it can be. I want to invest more in buying independent designers. This has always been something I've been interested in but I've been to a few events recently that have cemented the idea even more. Creative Dundee's Pecha Kucha nights always host a whole bunch of interesting speakers. 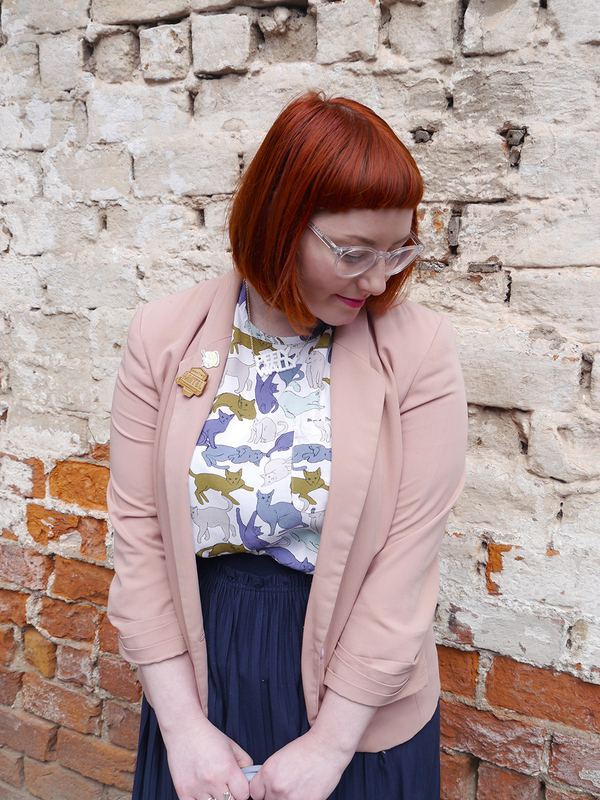 The latest event featured one of our Dundee design favourites, Kerrie Aldo. She talked about the Rana Plaza factory disaster and why she wants to keep her business local. This was then followed by a Saturday Evening lecture at Dundee Uni by Patrick Grant. More commonly recognisable as a judge on The Sewing Bee, he's also a successful menswear designer. He talked about the highs and lows of working in the fashion industry, why it's important to shop local and one of his latest projects - Community Clothing. This manufacturers cooperative works with UK factories in the down times to keep them successful all year round and in the process create a range of quality basics that are timeless. The peely wally necklace seemed rather appropriate considering my pale pins (and arms and face). I do enjoy Bonnie Bling's Scottish slang necklaces. I was sad to miss out on their workshop at Hill Street but I'm definitely enjoying all the images of the new Flashback SS16 collection. So many fun retro vibes. A small independent designer/ maker that I can get behind.